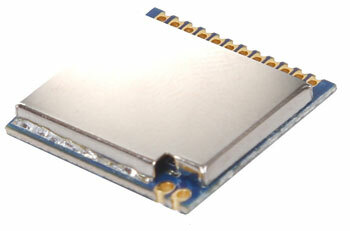 The module is based on SI4432 from Silicon labs.The -121dBm and +20dBm output power ensures extended range,make the module suitable for long range applications.Its communication distance up to 1500m.User can modify the internal parameters through the SPI interface.The Module is with a nickel-plated shield cover to enhance anti-interference ability greatly. 7 SDI Serial Data input. 0–VDD V digital input. 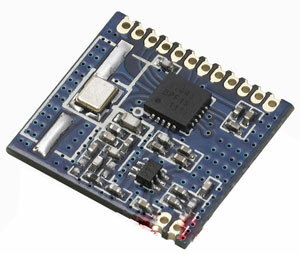 This pin provides the serial data stream for the 4-line serial data bus. 8 SCLK Serial Clock input.0–VDD V digital input.This pin provides the serial data clock function for the 4-line serial data bus. Data is clocked into the Si4430/31/32 on positive edge transitions. 9 nSel Serial Interface Select input. 0– VDD V digital input.This pin provides the Select/Enable function for the 4-line serial data bus. The signal is also used to signify burst read/write mode. 11 SDN Shutdown input pin.0–VDD V digital input.SDN should be = 0 in all modes except Shutdown mode.When SDN =1 the chip will be completely shutdown and the contents of the registers will be lost. 13 ANT Extra antenna or TR switch control to be used if more GPIO are required. Pin is a hardwired version of GPIO setting 11000, Antenna 2 and can be manually controlled by the antdiv[2:0] bits in register 08h. 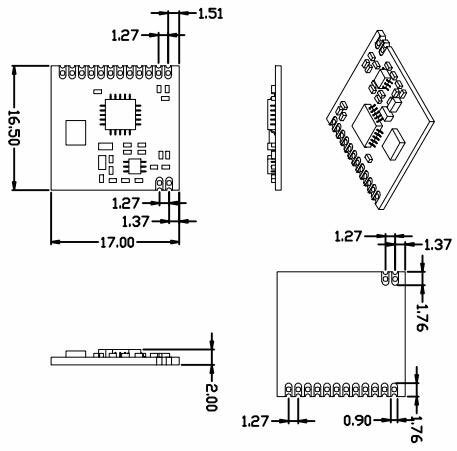 CoreWind also offers customer design service based on the RF4432-A board according to customer’s requirement. Whether you need to reduce, add or modify to existing hardware, CoreWind will help customers with expert competence and rich experience.